When conducting negotiations, the other party acutely observes non-verbal communication signals to know your real thoughts and feelings. To understand and control your body language, join the Body Language Training Course delivered by pdtraining in Miami, Orlando and other cities in the U.S. 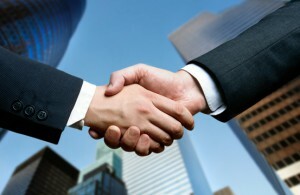 In a negotiation, both of the parties are keen on gaining the most benefits for themselves. Either party may hold back some things from the other party or mislead one another to gain the upper hand. In such a situation, relying on body language signals to find out the true intentions and expectations of the other party becomes vital to succeed at the negotiation. Along with decoding the body language of the other party, you also need to adjust your body language to look confident and in control. Shake hands firmly (not too soft and not too firm). Keep your shoulders back and hold a straight posture throughout the negotiation. Make eye contact when speaking to a person. When speaking to everybody, do not keep looking at one person. Losing your cool, getting agitated or sounding irritated reveals lack of control. At least during the negotiation, you need to reveal that you are totally in control of yourself and the situation. Non-verbal signals such as flushing with anger, making rapid eye movements, tapping your fingers or feet, running your hands over your hair or touching your nose are signs of nervousness and impatience. To keep your body language controlled, be aware of it. You will find that you may be using negative body language without knowing. Even if the negotiations are not proceeding how you wished them to proceed, you must not express your disappointment before the other party. Instead, remain calm and think rationally of the best thing you can make out of that situation. Do not be in a hurry to get over with the negotiations. Take your time in discussing the different aspects of the situation and give ample time to the other party to make their point. Also, avoid rushing in your speech and movements. Do not speak too fast, make hurried gestures, walk too fast, or check the time. Being in a hurry shows that you are keen to avoid the situation. When the other party is present, do not share secret glances, smiles or sly signals with your team members. If you need to discuss something in private with your people, excuse yourself and move out of earshot. Whisper whatever you need to communicate and come back to the table to talk to the other party. Leaning towards someone or facing your body towards a person signifies that you are giving them your complete attention. Even though it is not a bad practice, in a negotiation you do not want to make your agreement or liking of a person obvious. Therefore, it is best to keep facing your body straight ahead than towards a person.